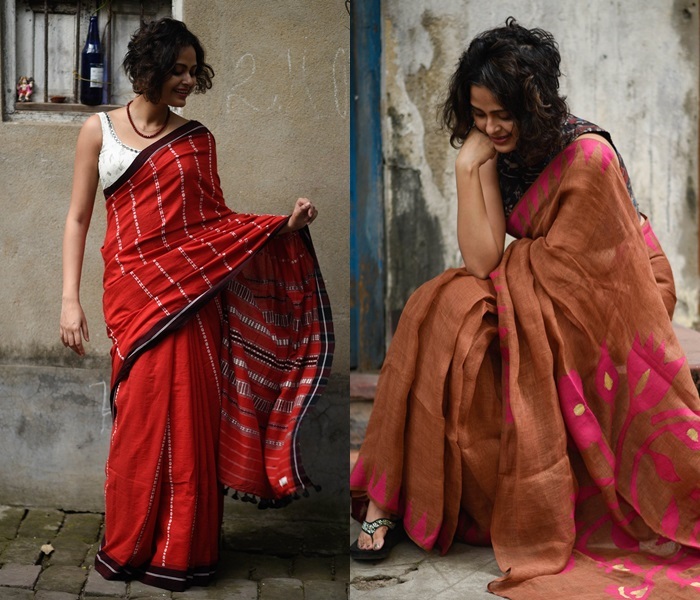 Inspiration To Style Handloom Sarees In Uber Cool Ways! 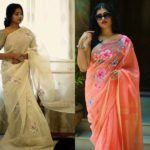 Be it the backwaters of Kerala or Kashmir valley, the dry deserts of Rajasthan or the Seven sisters of the Northeast, the styles might be different, the results differed, yet there is nothing like a handloom saree with regards to looking and variety. 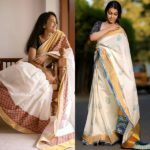 A handloom saree is a finely woven fabric, where the interplay of pattern and design, border and motif, painting and embroidery or other interchangeable permutations and combinations, makes every item one of a kind, every piece as unique as the next. These sarees are designed with the greatest meticulousness using superior-quality fabrics under the vigilance of nifty professional weavers. 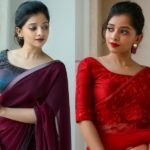 These sarees might look exceptionally simple to behold but don’t underestimate its uniqueness. 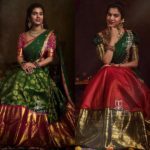 If you like to see how it can potentially be a game changer in your sarees style, then do take a look on the impeccable ways Brand Suta styles these sarees for their customers to relish on its simplicity and look! 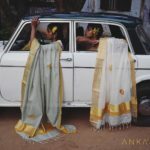 Indian handcrafted Handloom Sarees are world famous these days. The handloom sarees are evolving quickly. 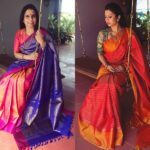 It can evidently be said that traditional handloom sarees are creating their identity as modern drapes. Whether you are young or old, you can effortlessly drape this saree as these are extremely simple and can be worn in uber cool ways on a regular basis as demonstrated by the brand Suta here. 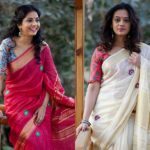 If you like these handloom sarees featured in this post and would like to shop these sarees, you can head over to Suta. 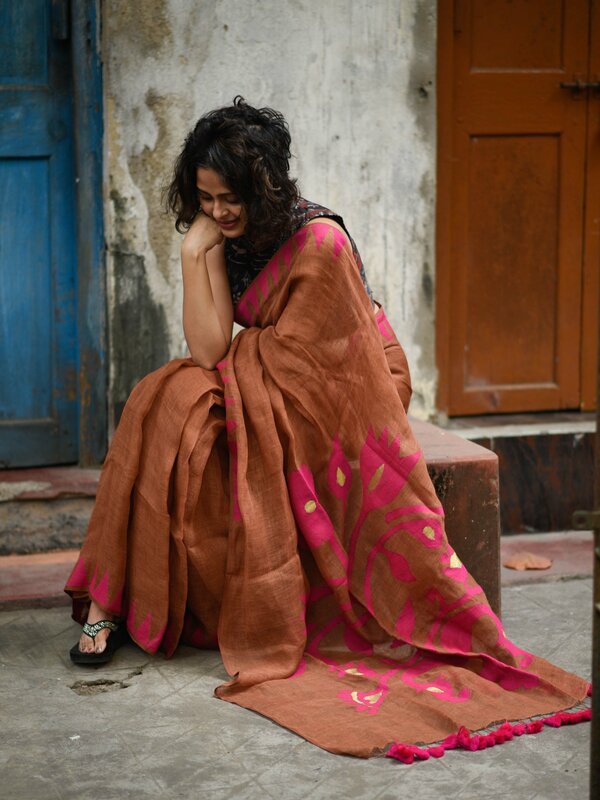 There you can find simple handloom sarees with various prints which are perfect for all seasons. 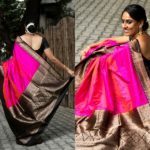 They have been offering an exquisite assortment of these sarees to their valued clients for years.